enjoying “rosy prospection” – Love. Life. Practice. What do you want for Christmas? Or Chanukah, Kwanzaa, Solstice, or your birthday? How about that moment after the clock turns over the New Year – how do you picture it? Many people build up extreme ideas of events or things that they are sure will make them happy. My most recent “rosy prospection” was the “Ambition” edition of the Field Notes. What did it represent to me? Class. Simplicity (pen and paper, dude, that’s where it’s at!). There’s a feeling of potential and joyful creativity that comes with the thought of such a notebook for someone like me. 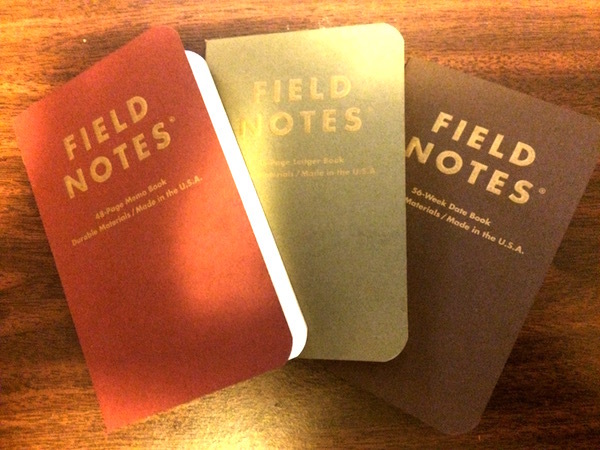 But when I got the notebooks, did everything fall into place? Did I suddenly take the datebook and plan out my conquering 2015 year of Making It Big? Was the ledger suddenly my key to financial success? And that could have been a big disappointment, except that I have a realistic view of Ms. Rubin’s “rosy prospection” concept. 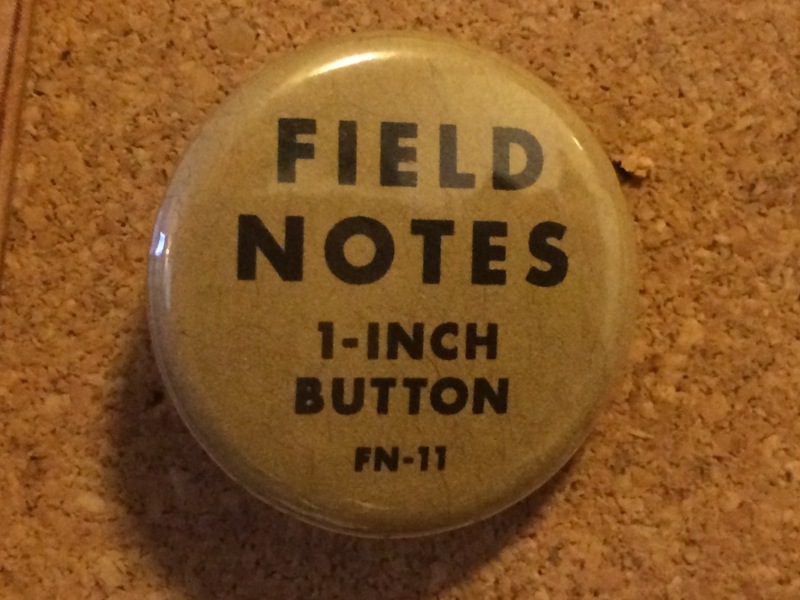 Namely, I count the time I spend on the Field Notes website as part of the experience. Their quirky videos, their down-to-earth labeling, even the fun little one-inch button that came with the notebooks are all part of the experience. There’s the question: what will I put in the ledger? Should I use a pencil? Ooh! Maybe a red pencil! The point is simple: as Spock once said, the having of a thing is often not as enjoyable as the wanting of a thing. But you don’t have to choose! You can, in fact, enjoy both, and make them complement each other. You can enjoy the smell of the roast beef as well as the taste, you can enjoy the cover of the book as well as the prose, you can enjoy the…well, you can’t usually enjoy cover art on albums much any more. So that metaphor falls a little flat. But you can enjoy the anticipation of both the gifts you might receive and certainly the anticipation of gifts you have given. Not the reaction – if you try to predict what the recipient of your gift is going to do, that’s a recipe for disappointment. No, I’m talking about relishing the feeling of giving in general.